WordPress backup is one of the most overlooked tasks that form a good WordPress security plan. Whether you have the most reliable hosting provider or the most secure WordPress installation, a WordPress backup can save the day and will always be your safety net when something goes wrong. If you are not familiar with all the operations and tasks needed to maintain a successful WordPress blog or website, you will find it very difficult to plan and choose the right WordPress backup solution for your WordPress. In this WordPress FAQ tutorial we try to address all WordPress backup frequently asked questions. If after going through the below FAQ you still have some questions or doubts, just get in touch with us and we will gladly assist you. How can I backup my WordPress? There are different methods available to backup your WordPress. You can manually backup your WordPress or use a WordPress plugin to automate the backup. You can also use a premium online WordPress backup service, which has much more options and features when compared to the free solutions. If you use WordPress plugins to automate your WordPress backup process you should still run a manual WordPress backup once in a while to ensure that the process is still working. It is also recommended to do a test restore on an offline location to ensure that everything is being backed up. How often should I backup my WordPress blog or website? It depends on how often you change your blog or website and how often you publish content. To be on the safe side it is recommended to make a backup each time you publish or update a blog post or a page. It is also highly recommended to take a WordPress backup before you install a new WordPress plugin, install a new WordPress theme or upgrade your WordPress so in case something goes wrong you can quickly restore back your WordPress to the previous working state. Where and how should I store my WordPress backup? 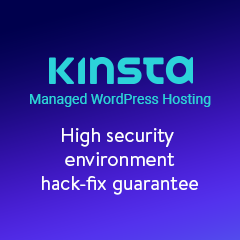 WordPress backups should be stored in a safe and secure place which only you and any other blog or website owner have access to. It is very important to store the WordPress backup on multiple and different types of media to ensure you still have access to your WordPress backup in case a specific media fails. A good practise is to store a copy of your WordPress backup on your computer and one on your external / backup drive or CD/DVD, or online drive. 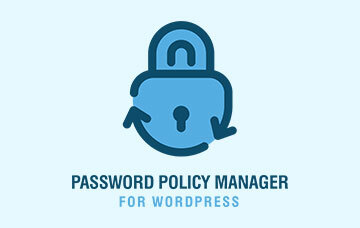 To ensure WordPress backup security you can also password protect your WordPress backups or encrypt them. Never leave copies of your WordPress backups on the live WordPress blog or website. Typically WordPress backup plugins store backups in a predefined directory and use guessable filenames. If the filenames and locations are guessed by a hacker, he or she can download a copy of your WordPress backup. 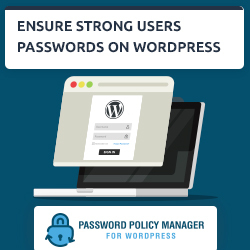 In case your backup is downloaded by a malicious user, he or she will have access to everything on your WordPress blog or website, including the WordPress administrator password. How many WordPress backups should I keep? As a rule of thumb it is recommended to keep at least the last three backups, which ideally each of them is stored on a different media. If you have space available to store WordPress backups which are older than three days, then store as much as you can. By storing multiple copies of your WordPress backup you ensure that you still manage to access the backups in case a backup file is corrupted or damaged. The size of my WordPress backup is huge. What can I do? The size of your WordPress backup depends on the number of files you uploaded to your WordPress, such as images and videos used in blog posts and pages, and the WordPress database. Below are some tips on how to optimize the WordPress backup process to have smaller backups. If you upload a large number of files to your WordPress, such as images and videos which are used in blog posts and pages, the best option to reduce the backup size is to backup the current month uploads directory and keep an offline copy of all the previous ones. By default, WordPress stores media uploads in a predefined directory structure by using the current month as the directory name. E.g. 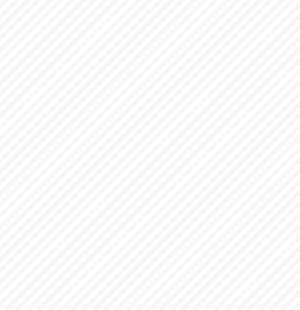 if you upload media on March 2013, all the media uploaded during that month will be stored in the directory /wp-uploads/2013/03/. If you keep a centralized backup archive of all the previous wp-uploads sub directories, each time you run a WordPress backup you can backup the current month directory and add it to the archive. By doing so you will save time since the backup will take less time to complete, and bandwidth. The WordPress database is typically quite small but if you use WordPress plugins which store a lot of data, such as anti-spam or statistics plugins, the database can swell significantly. Such data is usually not important so try purging the data before running a WordPress backup. Alternatively you can omit such tables from the WordPress backup.